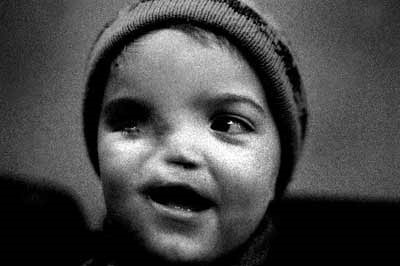 The last week's huge quake and tsunami driven a nuclear crisis, which has left at least 17,000 people dead or missing. Though France's Nuclear Safety Authority, has rates the Fukushima crisis at six on the scale. 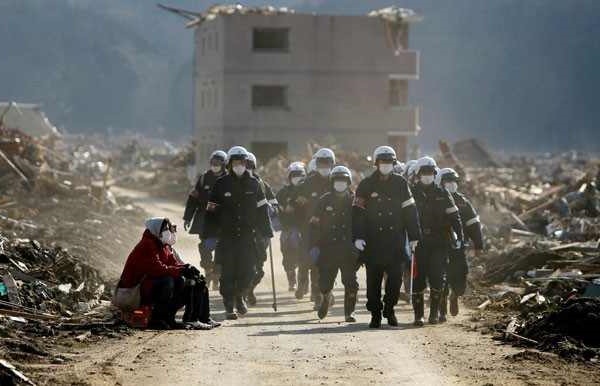 (AFP) this crisis was previously rated as local problem by Japanese authority. Now Japan has raised the alert level at its quake-damaged nuclear plant (Fukushima Daiichi) from four to five on a seven-point international scale of atomic incidents. 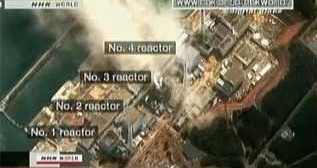 Japanese nuclear officials said core damage to reactors 2 and 3 had prompted the raising of the severity grade, reports BBC. 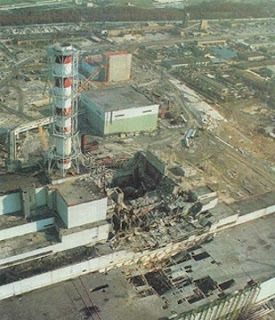 The 1979 incident at Three Mile Island in the US was also rated at five on the scale, whereas the 1986 Chernobyl disaster was rated at seven. But they still hoped to solve the crisis by fixing a power cable to two reactors by today to restart water pumps needed to cool overheating nuclear fuel rods. Workers also sprayed water on the reactor 3, the most critical of the plant's six. It was the first time the facility operator had acknowledged burying the sprawling 40-year-old complex was possible, a sign that piecemeal actions such as dumping water from military helicopters or scrambling to restart cooling pumps may not work, Reuters reports. That is little solace for about 300 nuclear plant workers toiling in the radioactive wreckage, wearing masks, goggles and protective suits with seams sealed off by duct tape to keep out radioactive particles. "My eyes well with tears at the thought of the work they are doing," Kazuya Aoki, a safety official at Japan's Nuclear and Industrial Safety Agency, told Reuters. Even if engineers restore power at the Fukushima Daiichi plant, the pumps may be too damaged from the earthquake, tsunami or subsequent explosions to work. The first step is to restore power to pumps for reactors 1 and 2, and possibly 4, by today, said Hidehiko Nishiyama, Japan's nuclear safety agency spokesman. By tomorrow, the government expects to connect electricity to pumps for its badly damaged reactor 3 -- a focal point in the crisis because of its use of mixed oxides, or mox, containing both uranium and highly toxic plutonium. Asked about burying the reactors in sand and concrete, Nishiyama said: "That solution is in the back of our minds, but we are focused on cooling the reactors down." Burying the reactors would leave part of Japan off-limits for decades. "It's just not that easy," Murray Jennex, a San Diego State University in California professor said when asked about the so-called Chernobyl option to bury the reactors. "They are kind of like a coffee maker. If you leave it on the heat, they boil dry and then they crack," he said. "Putting concrete on that wouldn't help keep your coffee maker safe. 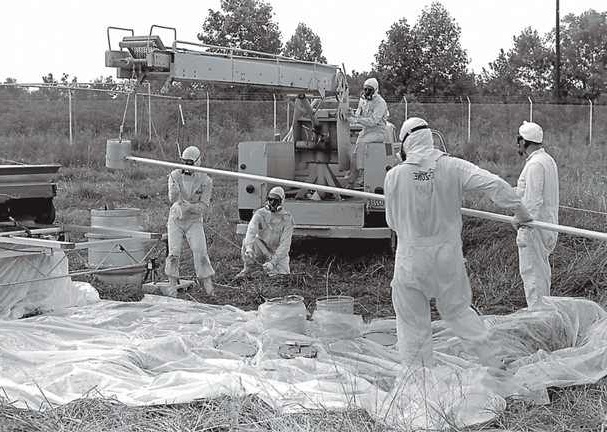 But eventually, yes, you could build a concrete shield and be done with it."